Counterpoint attended Xiaomi’s fall new product release conference in Beijing on Sep 27th. The conference introduced two products, Xiaomi TV 3s and Xiaomi 5s/5s plus. 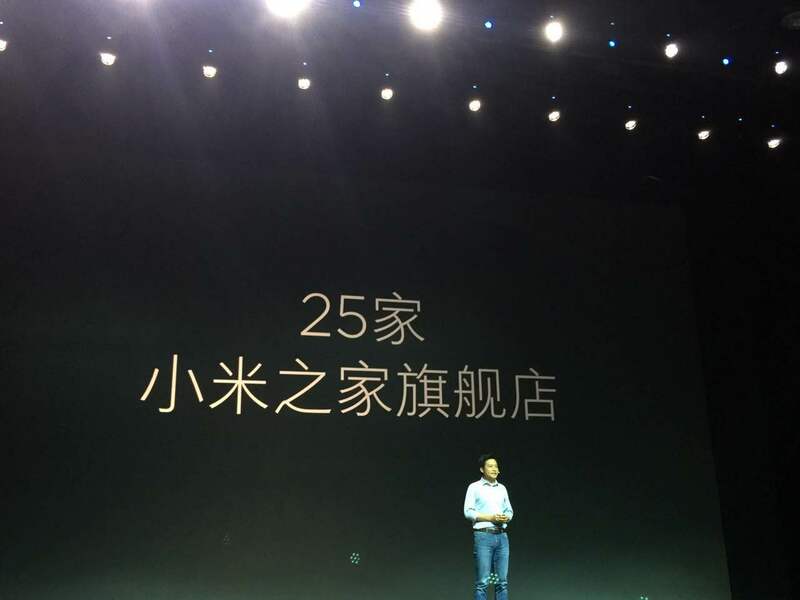 Xiaomi’s CEO Lei Jun revealed that as of now Xiaomi has opened 25 retail flagship stores and it plans to open 1,000 retail stores in three to four years’ time. One major change is that these retail flagship stores will start selling smartphone devices for the first time. Previously, these stores serve more as a venue for consumers to experiment with the devices before making the purchases online. Xiaomi has always been strong in online channel and lags behind peers like Oppo, Huawei, Vivo in offline channels. Lack of offline channel has slowed the growth of Xiaomi in the past one year which focuses on online commerce. This move shows Xiaomi’s commitment to develop its offline channel and allow consumers to have hands-on experience on all of its product lines in its ecosystem in these stores. The main theme of this conference is “black technology”. Xiaomi introduced two cutting edge technologies for its new devices. 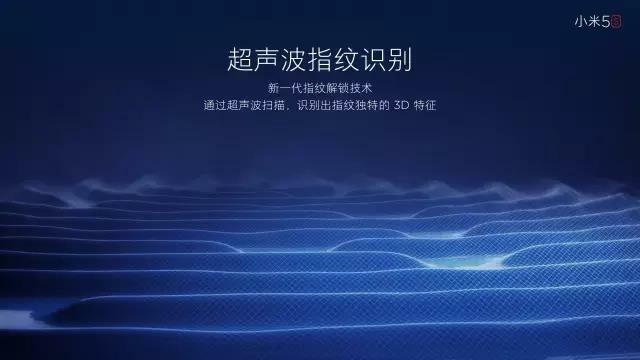 Ultrasonic fingerprint sensor: Xiaomi introduced a fingerprint senor that utilizes ultrasonic technology to recognize fingerprint characteristics. It differentiates from traditional fingerprint sensors as it is embedded within the frame, without a cut out to the front glass. Xiaomi’s CEO said that they started this project in October, 2014 and through many trials and errors, finally reached a breakthrough this June. They wanted to experiment something new because the traditional touch button sensor after being pressed so many times a day can get damaged and there is always a slight color discrepancy between the touch button and the panel. 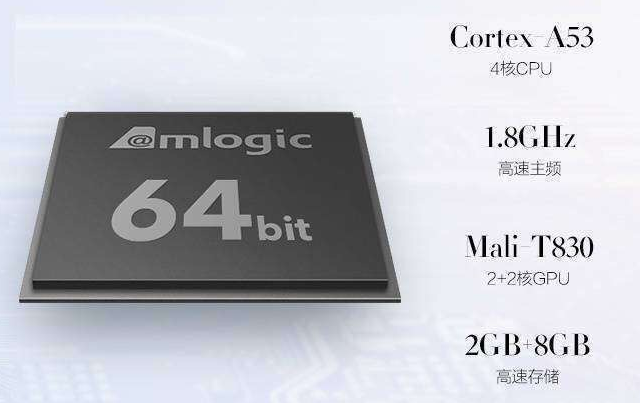 Xiaomi is the first smartphone vendor to commercialize this technology. Superb camera function: Xiaomi 5s uses Sony’s IMX 378 with a 1 / 2.3” CCD. The larger the CCD the better is the image being captured. 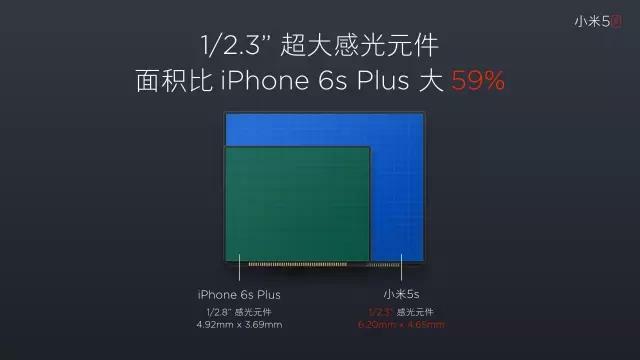 Xiaomi 5s claims to have a CCD 59% larger than that of iPhone 6s Plus. 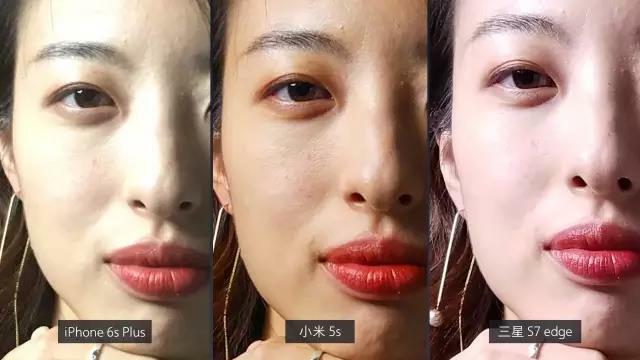 During the press conference, it compared the pictures taken by Xiaomi 5s, iPhone 6s Plus and Samsung s7 edge and showed a video asking pedestrians to select pictures taken from these 3 devices blindly. Xiao 5s won 55% of the vote. 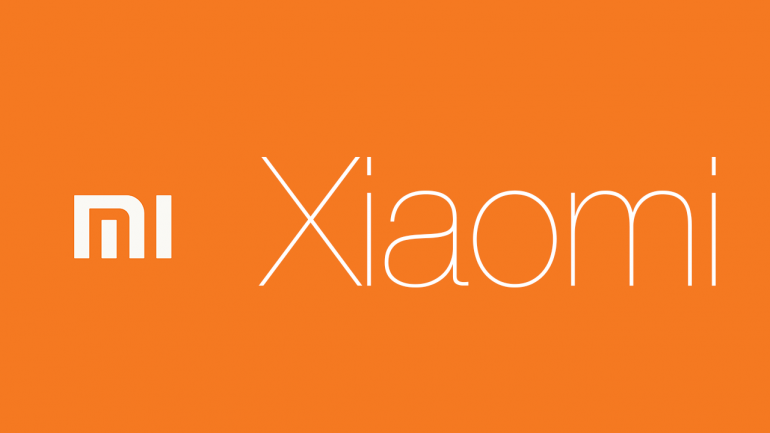 We are also seeing some changes in Xiaomi’s product strategy. Although its basic 64GB model of Xiaomi 5s is attractively priced at RMB 1,999, Xiaomi is also trying to capture the mid to high end market with Xiaomi 5s Plus. Xiaomi 5s Plus is priced between RMB 2,299 (USD 343) and RMB 2,599 (USD 388) and has features including a larger 5.7” inch screen, 13-mega pixel dual camera and storage ranging from 64GB to 128 GB. More contents: Xiaomi TV 3s now includes contents from all of the three major video platforms in China (iQiyi, Youku and Tencent) after its recent partnership with Tencent. Karaoke system: Synchronization to the most comprehensive karaoke song database system and introduced a professional use wireless microphone used in the largest KTV chains in China. Home theater: Wireless speakers with Dolby audio surround sound providing viewers with theater sound effect at home. High configuration: Xiaomi TV 3s is equipped with 64bit Amlogic chip which supports HDR, 4K screens from Samsung and LG, and extra slim steel frame. With all the added features, prices for Xiaomi TV 3s is still very affordable. The Xiaomi TV 3s 55” is priced at RMB 3,499 (USD 522) and the Xiaomi TV 3s 65” is priced at RMB4,999 (USD 746). From its pricing, we can see that Xiaomi has kept its strategy to attract more users through providing quality product at an affordable price. We think that the most important take away from Xiaomi’s fall product release conference is its changes in distribution strategy to actively expand offline channels through opening 1,000 retail stores in the next 3 to 4 years. Xiaomi will compete more directly with vendors such as Oppo and Vivo who are strong in offline channels. In terms of pricing, Xiaomi’s strategy is still focusing on the low to mid end market. However, Xiaomi is adding mid to high end model Xiaomi Plus 5s to complement its existing product line.